Vega is the brightest star in the constellation of Lyra, the fifth brightest in the sky. With Deneb (Alpha Cygnus) and Altair (Alpha Aquila) it forms the famous Summer Triangle that can be used for orientation in the sky on summer nights. 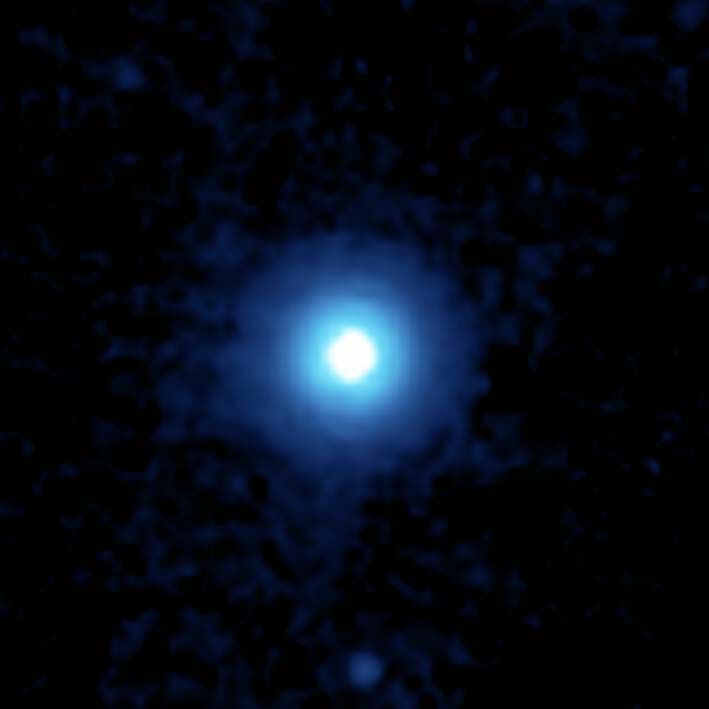 Vega (Alpha Lyrae) is about 25 light-years away, making it one of the most studied stars. We know that it is only a few hundred million years old, that it rotates in less than a day (compared with 27 days for the Sun) and that it is twice as massive as and sixty times brighter than the Sun. A disk of dust has been observed which probably contains several exoplanets in formation and even its magnetic field has been measured. Observations made in 2006 by a team from the CNRS in France revealed the presence of a weak cloud of fine particles probably emitted during an intense meteorite and comet bombardment phase comparable with the one that marked the beginnings of the solar system.